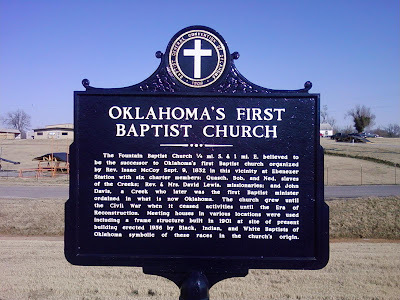 On US Hwy 69, just south of the Muskogee Turnpike Overpass, there is a sign placed by the Baptist General Convention of Oklahoma Historical Commission. I have passed by it for years, never stopping to see what it was about. Recently, the Historical Commission had the sign refurbished and, since I had my camera with me, I decided to stop and see what it was all about. Evidently, in 1832, a few folks got together and planted the first Baptist Church in Oklahoma. Click on the plaque to enlarge and read the inscription. This is located right here in Wagoner County! Pretty cool stuff. 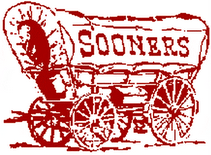 By the way, Oklahoma didn't become a state until 1907.